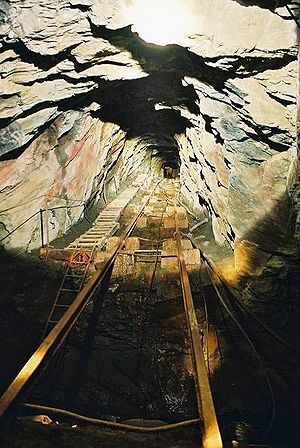 Let me ask you firstly if you have ever visited a slate mine before, if the answer is yes, then what makes Honister Slate Mine special I here you asking. Honister slate formed from 450 million year old metamorphosed volcanic ash, is the hardest slate in the world. Honister is the ONLY working slate mine in England. Should you have watched the recent royal wedding, did you notice the Honister Roofing Slate at Buckingham Palace, whilst you will also find Honister roofing slate at St Pauls Cathedral, Houses of Parliament and Westminster Abbey. It is believed that the first slate was probably mined from the Honister area in the Roman era, although it is quite possible that it began even earlier. Slate roofing was a feature of many thirteenth century monastic buildings and it has been used as a building material in the region for many centuries. 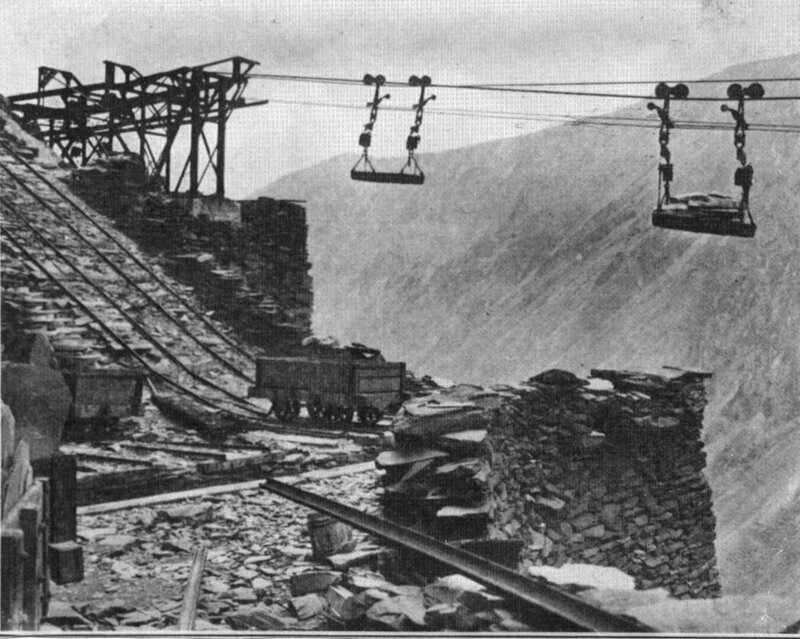 The first confirmed records of slate mining in Honister do not appear until the early 1700’s, whilst quarrying on a significant scale was taking place in the 1750’s and from 1833, under the managerial eye of entrepreneur Sam Wright, the business expanded with the creation of underground mines as well as open quarries. It is hard to imagine in this day and age, as the slate workers lived at Honister (often inside the mines) during the week, returning home at the weekends. In the twentieth century, some stayed in barracks at The Hause and the company built some houses for the workers in Borrowdale. The slate was originally extracted in large blocks or ‘clogs’ which were first ‘docked’ or reduced in size with a chisel and mallet, whilst cutting across the grain. After 1856, this process was replaced by sawing. The docked or sawn block was then ‘rived’, or split down the grain, with the resulting thin slates dressed to shape on a ‘slate anvil’ using a slate knife or ‘whittle’. This process was also mechanised in the 1890’s, whilst slates where finished in stone built huts on the mountain side near the quarries, or in the mines, until the construction of a factory at The Hause in the 1920’s. Honister slate was used extensively in local buildings, but the best quality roofing slate was exported far afield. 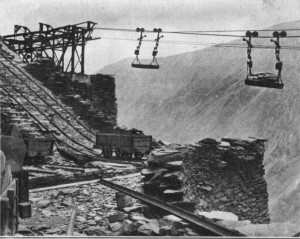 Honister Slate Mine is situated near the summit of Honister pass which starts at Gatesgarth Farm, at the southern end of Buttermere. 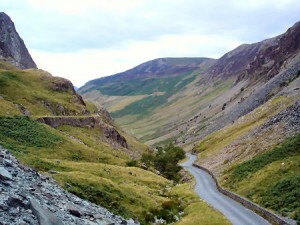 The pass connects the Buttermere valley with the eastern end of Borrowdale valley. Rising some 1167 feet in height at the summit, whilst being one of Cumbria’s highest passes, with a gradient of 1 in 4. There are several great walks from the summit of Honister pass, where the slate mine is situated, as the start of walks footpaths lead up to Great Gable, Dale Head (2473 ft) to the north, Fleetwith Pike to the west, Grey Knotts to the south. There is also the Lake District Hostels of the Hause. If you would like to explore this area by car the Honister pass forms part of a beautiful circular scenic drive from Keswick that includes Newlands Pass, Buttermere and Crummock Water, areas that are not as dominated by visitors compared with other parts of the Lake District such as Bowness on Windermere. For more information on visiting Honister Slate Mine and tours please visit www.honister-slate-mine.co.uk and enjoy a day out at Honister.